Insecticide-treated nets may still help prevent malaria despite mosquitoes developing resistance, according to a new study published in Parasites & Vectors. These nets have contributed to the prevention of millions of deaths due to malaria, but in recent years, there has been growing concern that mosquitoes are becoming resistant to the pyrethroid insecticides used on the nets, making them less effective. However, the impact of this resistance on malaria as a public health problem has been harder to demonstrate, for reasons that remain unclear. One possible reason is suggested by the new study, carried out by the London School of Hygiene & Tropical Medicine and Malaria Consortium, which has indicated that although resistant mosquitoes are surviving contact with the insecticide, the malaria parasites inside those mosquitoes are affected by the chemicals. The study was funded by UK Aid and carried out in Uganda, focusing on one of the main malaria carrying mosquitoes in Africa - Anopheles gambiae s.s. 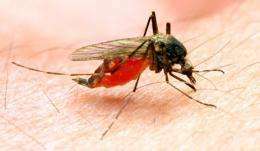 The researchers found that doses of the insecticide deltamethrin that are tolerated by resistant mosquitoes can interfere with development of the malaria parasite in the stomach of the mosquito. The team fed the mosquitoes on malaria infected blood, exposed some of them to the insecticide, and checked for parasite development a week later. The proportion of infected mosquitoes was significantly lower in the group that had been exposed to the insecticide, and those that were infected developed fewer parasites than the unexposed group. Dr Tarekegn Abeku, Malaria Consortium's Senior Technical Specialist and study co-author, said: "This is a significant result. It suggests that the use of insecticide-treated nets might continue to reduce malaria even in areas where the mosquitoes have become resistant. If so, that would give us more time to develop alternatives." Insecticide resistance remains a major threat to malaria control. Study author Dr Jo Lines, Reader of Malaria Control and Vector Biology at the London School of Hygiene & Tropical Medicine, said: "Our findings could help to explain why, so far, insecticide-treated nets seem to remain partly effective despite increasing resistance." Study lead author Mojca Kristan from the London School of Hygiene & Tropical Medicine, said: "This is the first time that effects of pyrethroids on the parasite have been observed in a malaria endemic setting, with wild-caught mosquitoes and parasites. The next step is to show that the same thing happens not only when mosquitoes are forced into contact with the treated net, but also when they make contact naturally, as they attempt to feed on someone inside a net."